A recent San Pedro High School (SPHS) graduate has been awarded a full sports scholarship to the University Of Belize (UB). On Friday, August 11th, during a ceremony at the UB Jaguar Auditorium in Belmopan City, Ada Cordova of the graduating SPHS Class of 2017 was officially presented with a scholarship for the upcoming academic year. 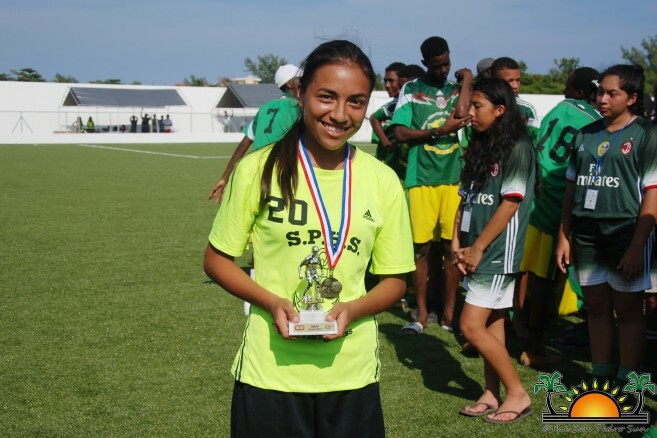 Cordova is no stranger to the sport scene, having represented the SPHS at several national tournaments, and joining the Belize team at international tournaments such as the Under-17, Council for Sports and Recreation of Central America (CODICADER) games. The Student-Athlete Scholarship Program is funded by UB and has been in existence for the past 11 years. The scholarship caters for students who excel in both academic and athletic skills. 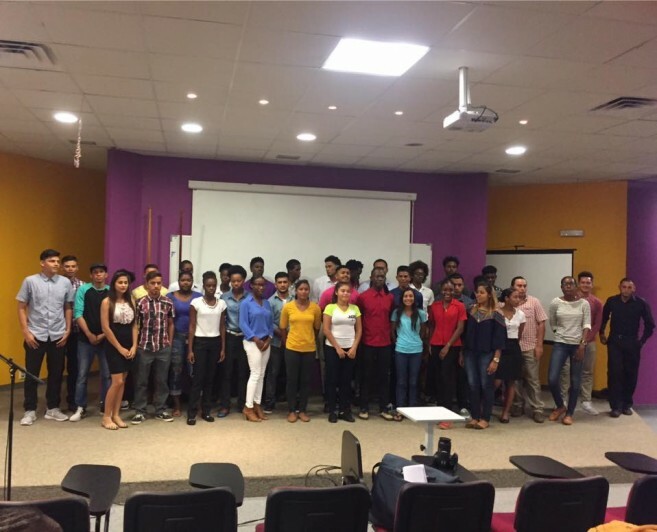 Scholarships are given to both male and female students in the disciplines that range from Basketball, Football, Softball, Cycling and Canoeing. At the ceremony, all scholarship recipients were presented with their awards and signed their contract agreements which include stipulations for good behavior, good grades, and community service. Cordova is excited for this new chapter in her life and looks forward to making the best out of the opportunity given to her. At her graduation on Saturday, June 10th with honors Cordova was part of the team taking the National Secondary School Sporting Association (NSSSA) 2017 National Football Tournament Female Championship and the NSSSA 2017 National Basketball Tournament Female Championship. She has also taken part in the National Female Under-17 Football Selection and the National Basketball Team for the 2016 Under-17 CODICADER games. The San Pedro Sun wishes Ada Cordova the best of luck in her studies as well as her sport career.